This is simply not true. Clients pay you for your services or products. They do not call others to tell them what you did for them. If they are happy they continue to do business with you…if not they move on. Listen to them. Learn to see the invisible opportunities where other people only see visible limitations. Become a problem solver. You grow by building on your strengths. By getting better at the things you’re already good at. Become good enough and you become an expert. Experts stand head and shoulders above everybody else. You succeed when you do what it is you know. Think of your product or service as a lighthouse for your clients. It’s a beacon that lights the way and shows them the direction they want to go. It shows them the path to success while illuminating the obstacles to be avoided. When you know what your clients’ vision is you make better choices and build better relationships. Then ask them for help. Ask them for a referral. This may seem distasteful or shameless but if you have done a great job why won’t they refer to you to another client? If you haven’t satisfied their needs then you need to know quickly. I recently told a client how another client offered to provide me with a referral. His reaction was “Why haven’t you asked me? You are the best consultant I have and I would welcome the opportunity to tell others of the successes you have created for my company.” Here was an added benefit…he resold himself on my service while offering to recommend me to others. When someone refers to another company their reputation rises or falls on your performance. If they are willing to take that risk then you have proven yourself to that client. My mother always told me that the dog wagged his own tail because won’t wag it for him. In the case of referrals someone else can do the tail wagging for you. 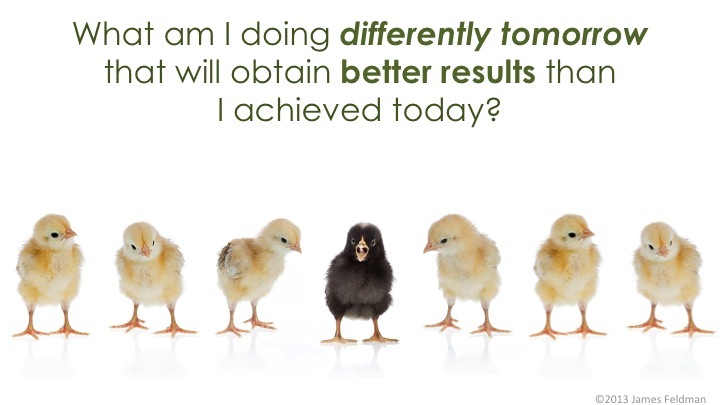 Ask yourself, “What am I going to do differently tomorrow that will obtain better results than I achieved today? Shift Happens and the sooner you make ‘shift’ for yourself the less likely ‘shift’ will fall on you. RULE 5: If you don’t ask you will not receive. If your client has to ask -you are no longer their first choice, but one of many. You should have known the question was coming before he asked it.